From California, Maryland, Jay Armsworthy and Eastern Tradition play a variety of “hard-driving” Bluegrass music. 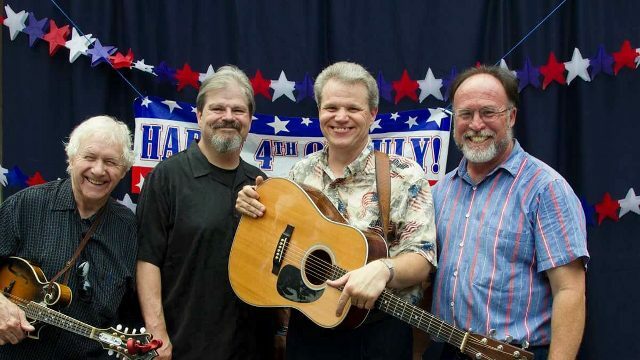 The band’s repertoire consists of traditional Bluegrass, original ballads, energized instrumentals, and old-time gospel. With their own arrangements, Jay Armsworthy and Eastern Tradition insert a “punch” and a “drive” into Bluegrass music that is enthusing audiences of all ages. Jay Armsworthy and Eastern Tradition have played countless fairs, festivals, community and private functions throughout the Eastern United States. Both Bluegrass audiences and the general listening public enthusiastically receive them. With guitar, banjo, mandolin, bass and effective vocal harmonies, this acoustic ensemble is suited for all functions and social gatherings. When needed or requested, they also add fiddle to their acoustic string band. The hard driving rhythms of Jay Armsworthy & Eastern Tradition remind us that bluegrass is a prominent form of musical folk life in Southern Maryland. This entry was tagged Armsworthy, Bluegrass, Jay Armsworthy, Leon Morris, Lewis Layton, Maryland, Scott Walker, Southern Maryland, St. Mary's County. Bookmark the permalink.